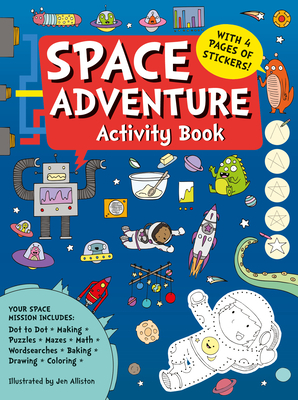 This fabulous space-themed activity book will entertain children wherever they are in the universe The pages are crammed with all sorts of fun, including dot to dot, spot the difference, coloring in and other amusing activities. Fun and educational, Space Adventure Activity Book features beautiful, bright illustrations that will draw children in and keep them busy. And while they are enjoying the mazes, matching and counting, the games are helping them to develop a wide range of skills, including observational, conversational and motor.